What is Interactive Diagnosis Data Explorer (IDDE)? 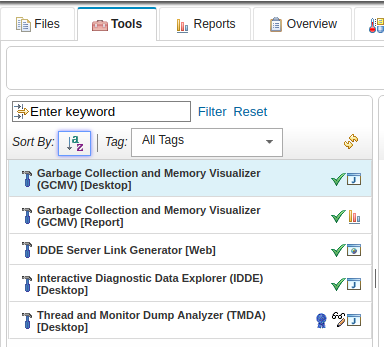 The Interactive Diagnostic Data Explorer is simply just a GUI that is used to view and edit a core dump, heap dump, or java dump file. The IDDE tool does not do any sort of analysis of the dump file, such as producing a summary, graph, or recommendations. For heap dump analysis, you would use the Heap Analyzer tool. Instead, the tool is simply meant to view and add comments to a dump file. The IDDE is an alternative to the jdmpview command. This article assumes you have installed IBMs Support Assistant Team Server and that you have installed the IBM Interactive Diagnostic Data Explorer (IDDE) in Team Server. In the left panel of Team Server, select IDDE Server Link Generator [Web] or Interactive Diagnostic Data Explorer (IDDE) [Desktop] and then select Launch. If launching the web version, the tool should open in a new tab in your web browser. If launching the desktop version, a file named download.jnlp should be downloaded to your local PC. Double-click download.jnlp to open the desktop version of the tool (Java must be installed on your local PC). 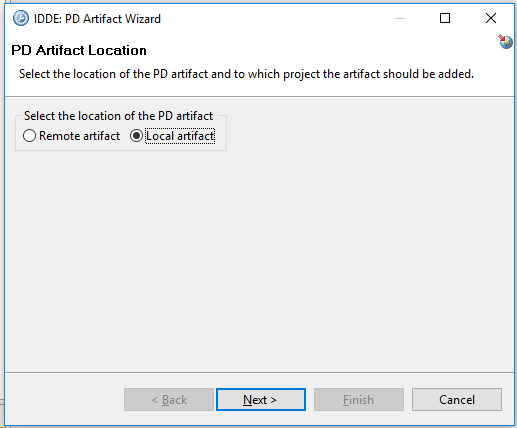 The first time you launch the IDDE, you will be prompted to select Remote artifact or Local artifact.. If the core dump, heap dump, or java dump file is on your local PC, select Local artifact and select Next. If the dump is on another server, select Remote artifact and select Next. Then, enter the location of the dump file and select Finish. The console should now display the contents of the dump file. In the left panel, expand IDDE_project, expand your dump file, and you'll see Start Investigation. One you expand Start Investigation, the investigation will start. After you expand Start Investigation, the text changes to Current Investigation, and below Current Investigation are two files. One is a log file and the other is a new tab ending in .idde. In this example, I added comment HELLO WORLD to the new tab ending in .idde.